DON’T share your bed with baby. It’s unsafe. 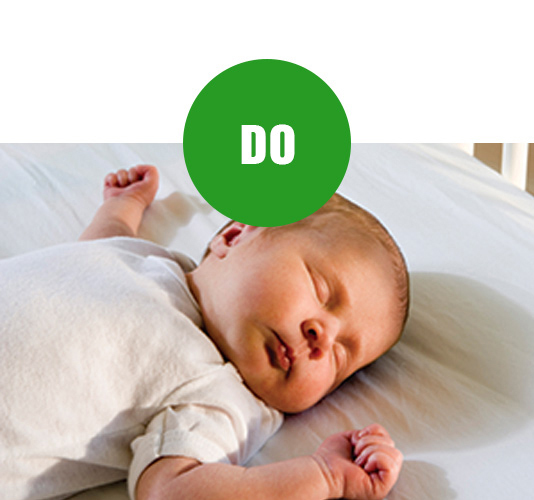 DO place baby on his or her back to sleep. 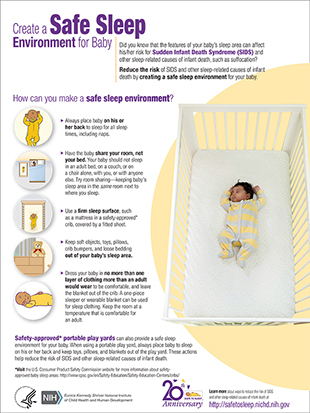 DON’T place soft materials in baby’s sleeping environment. Newborns sleep 20 hours a day. 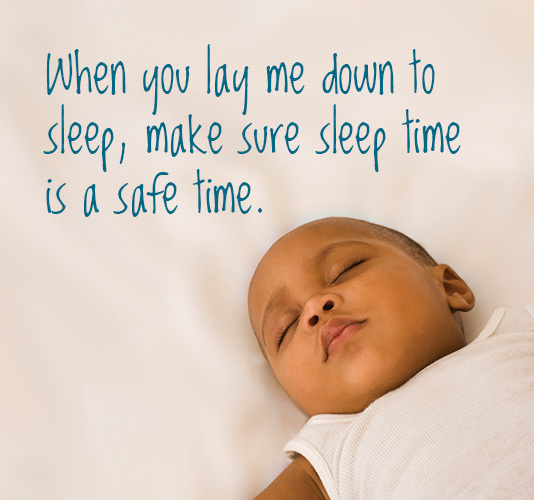 Make each hour safe. 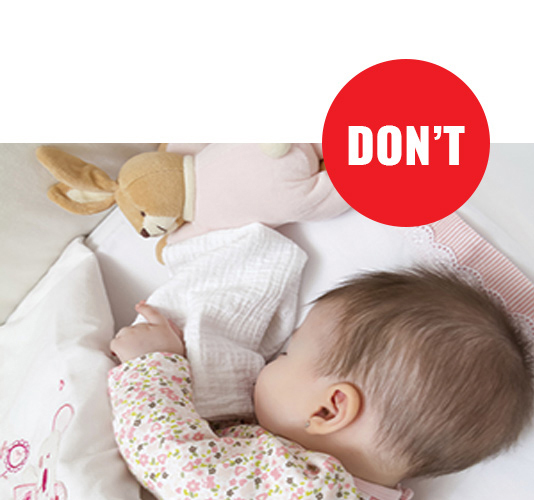 Place it where your baby sleeps as a reminder of how to keep your baby safe. 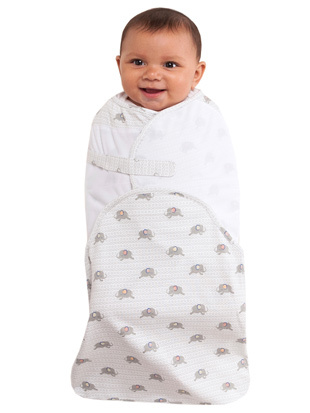 Use a wearable blanket for your baby. 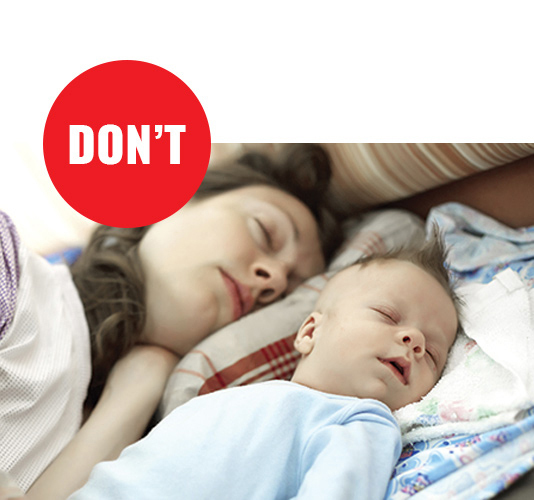 It’s safer than a regular blanket and makes your baby look adorable, too.